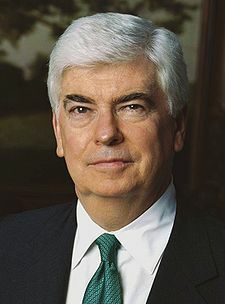 Senator Chris Dodd, Chairman and CEO of the Motion Picture Association of America (MPAA), has joined the criticism of the “blackout” threatened by various websites opposing anti-piracy legislation, describing such actions as “stunts” and “gimmicks”. “Only days after the White House and chief sponsors of the legislation responded to the major concern expressed by opponents and then called for all parties to work cooperatively together, some technology business interests are resorting to stunts that punish their users or turn them into their corporate pawns, rather than coming to the table to find solutions to a problem that all now seem to agree is very real and damaging,” he said in a statement. “It is an irresponsible response and a disservice to people who rely on them for information use their services. It is also an abuse of power given the freedoms these companies enjoy in the marketplace today. It’s a dangerous and troubling development when the platforms that serve as gateways to information intentionally skew the facts to incite their users in order to further their corporate interests,” he said. “A so-called ‘blackout’ is yet another gimmick, albeit a dangerous one, designed to punish elected and administration officials who are working diligently to protect American jobs from foreign criminals. It is our hope that the White House and the Congress will call on those who intend to stage this ‘blackout’ to stop the hyperbole and PR stunts and engage in meaningful efforts to combat piracy,” he concluded.